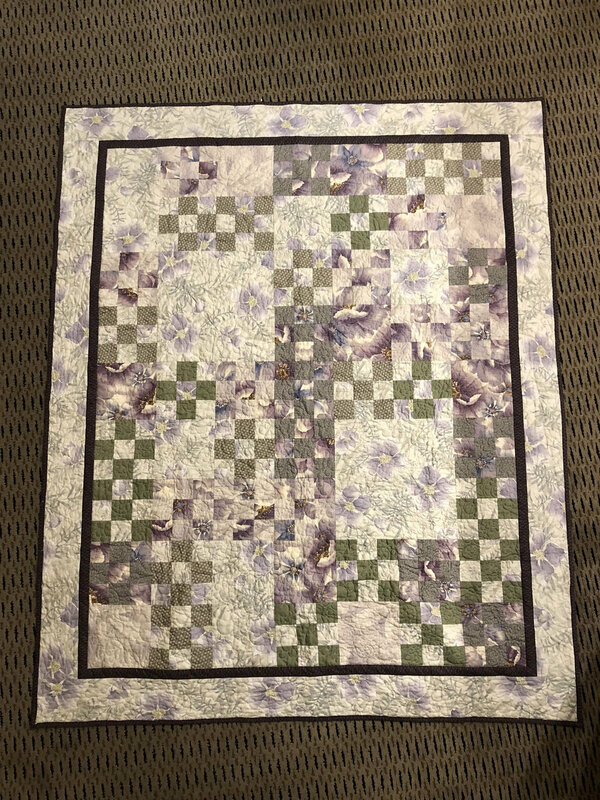 So this one had been in my wish list for a few days, and I had no intention of purchasing it until I'd knocked a few other quilting classes out of my queue. And then I realized I had a UFO I really needed to finish before the end of November. And then I realized it was quite possible that this class would have the perfect solution to my "How to quilt this thing" dilemma. And then it went on sale. So I bit. Here is my review of Dot-to-Dot Quilting with Angela Walters. I'll start by saying Angela Walters is an excellent teacher and very easy to watch. Her classes are much like her books (which I have reviewed before)--step-by-step, clear instructions, with good diagrams as well as her demonstrations. Using Golden Threads quilting paper to test out my design plan. 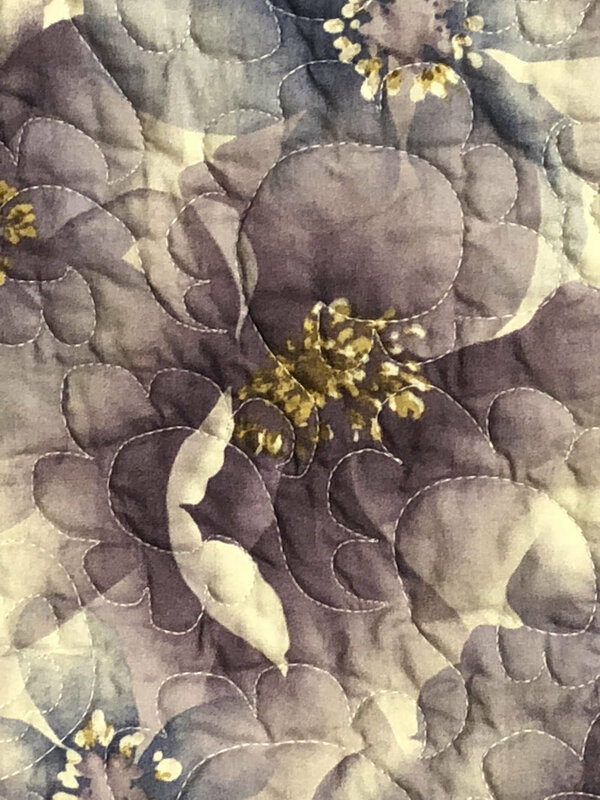 Here's one caveat: If you've never machine quilted before, you should consult other resources or classes first. 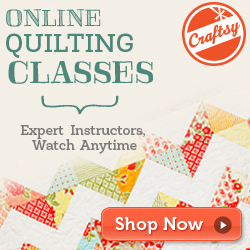 This is a class about quilt designs: She doesn't talk about making your quilt sandwich, basting, or stabilizing the quilt. She assumes you are already at least that far in your experience. Indeed, I was wondering for several lessons whether she did any stabilizing (stitch-in-the-ditch) at all and finally found reference to it in the discussion threads on the side. As I watched the next lesson, I could finally see some evidence of stabilizing stitching. Closer view of my quilt design sketch, marking what points I'd be using as my "dots". I then free-handed the actual quilting. I was able to immediately put the class techniques to use on a wallhanging/baby quilt I'm trying to finish for my great-niece's first birthday at the end of the month. I made it a long time ago and it's languished from inattention but then, I always work better to a deadline. I'd been waffling on how to quilt it but found the dot-to-dot technique the perfect solution. Quilted--you can see the chalk lines and stitching on the black but the thread blends on the white and red. 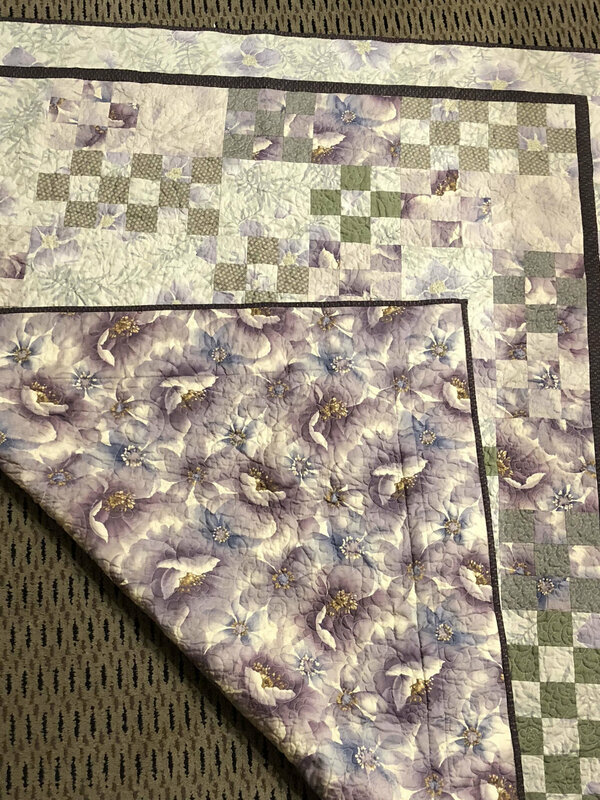 My need to continue practicing free-motioning straight lines aside, this was a great way to figure out a nice quilting design quickly, and execute it almost as quickly. I'm glad I bought this class! 9 lessons, ranging from 3 minutes (the intro lesson) to 10 1/2 minutes. Although the lessons are quite short, she gives good information in a very concise manner. I still felt like I'd gotten my money's worth from this class. 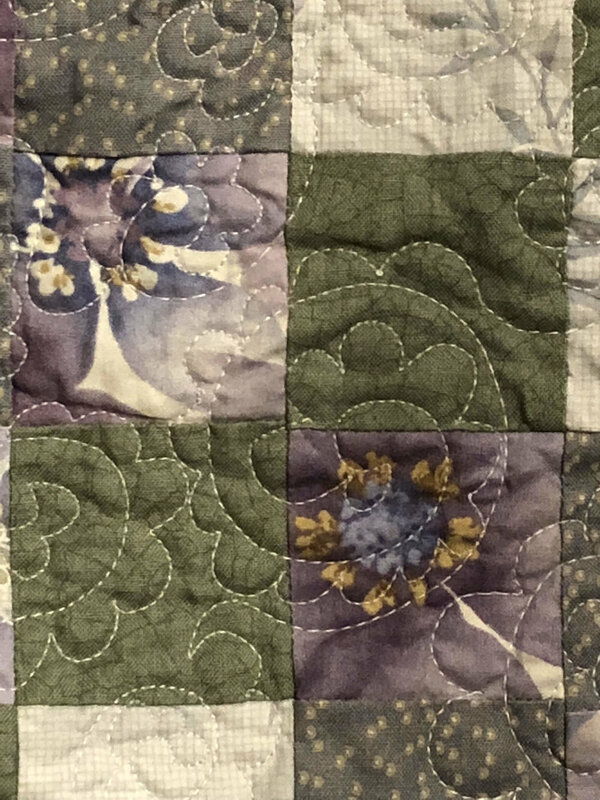 The lessons include quilting starbursts, starburst variations, diamonds, diamond variations, lattices, lattice variations, and borders. The final lesson is a gallery that shows all of the designs used in a variety of ways. The class materials include the pattern for a quilt if you'd like to use that to do the class project; it then includes diagrams of all the designs she shows in class, and three examples of how the designs could be used in the class project quilt. Again, I do recommend Dot-to-Dot Quilting with Angela Walters. It really helped me in figuring out possible quilt designs more easily. And now I've got a UFO nearly complete!